Turkey’s For Life is a very popular, highly-specialised website about Fethiye, travelling in Turkey, Turkish food and Turkish recipes. So why not advertise your travel or food related business on our site? 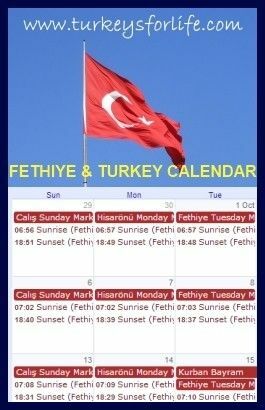 At peak seasonal times over the summer months in Fethiye, Turkey’s For Life receives over 60k pageviews a month from more than 30k unique visitors. We also have a very strong, sizeable, engaged and loyal following across all of our social media channels. Why Advertise On Turkey’s For Life? If your business is related to the travel industry or the food & recipe sector and you are looking for qualified exposure then you could get your website in front of thousands of new eyes every month if you advertise on Turkey’s For Life. We rank exceptionally well in Google search results for many competitive and targeted keywords relating to niche Fethiye, Turkish travel and Turkish recipe related terms (eg “fethiye shopping centre” and “turkish rice” to name just two) – and you could benefit from our focused approach by advertising your own business in our sidebar or in the main content of one of our pages. Our Google Analytics show that just over a third of our traffic comes from the United Kingdom, with Turkey on around 20%, the United States on 11% and Australian visitors at 5%. Women make up the majority of our readership at around 65% and their key interests are travel and food. Over half of the visitors to Turkey’s For Life are in the 35 to 64 age bracket and around a quarter are aged between 25 and 34. Under 24s and over 65s account for around 10% each.